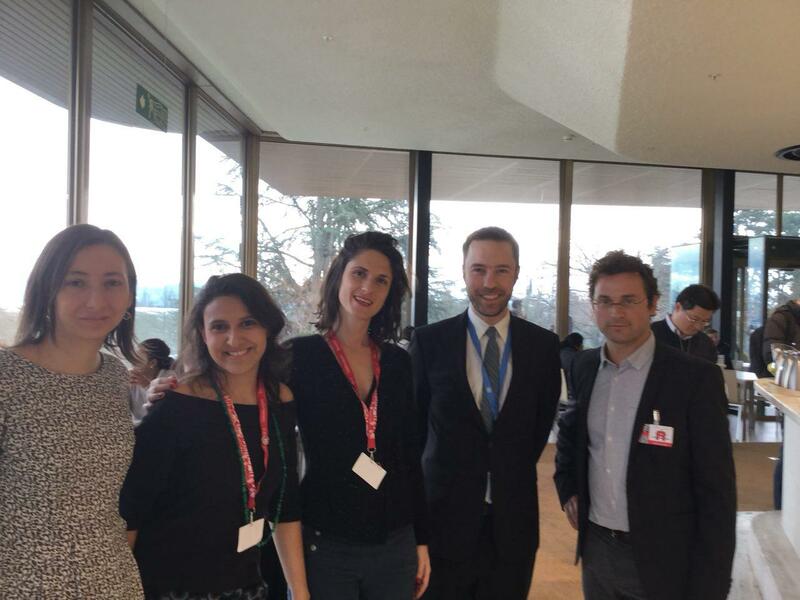 During the twelfth edition of the Internet Governance Forum (IGF) that took place in the United Nations Office in Geneva from December 18 to 21, Internet Sans Frontières (ISF) organized a session on the governance of submarine cables. Co-organized with the Brazilian NGO Intervozes and Diego Vicentin, researcher at the Federal University of Campinas (Brazil), it concluded a series of activities and meetings initiated by ISF in 2016, from the “cryptorave” of São Paulo in April 2016, the session organized at the RightsCon Brussels in March 2017 and the research program conducted by Félix Blanc in Rio during the second semester of the 2017 Brazilian academic year, with the support of the Center for Technology and Society (Getulio Vargas Foundation, Rio de Janeiro). Around fourty people attended to the interventions of Roxana Radu (Fondation Diplo, Switzerland), Peter Micek (Access Now, USA), Veridiana Alimonti (Intervozes – Brazil), Félix Blanc (Internet Sans Frontières, France), a discussion moderated by Florence Poznanski (Internet Sem Fronteiras – Brazil). They dealt essentially with the lack of transparence and high concentration of data flows though submarine cables in a context of intense vulnerability and weak international regulation. 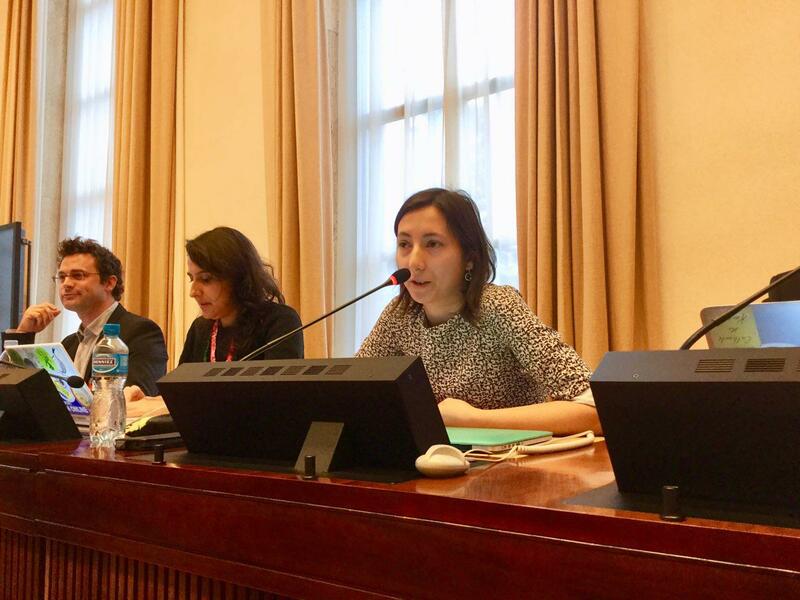 Roxana Radu, program manager at the Geneva Internet Platform reminds that Internet is not as decentralized as it is commonly said. Submarine cables, through which 97% of transcontinental communications goes through, belong to a few private companies operating without any identified regulatory agency or international norms. She remarked that, although submarine cables are an old infrastructure (inherited from the telegraphic network built since the nineteenth century), they are now sought after by telecom companies belonging to content driven business sector like Google and Facebook that invest in their own cables to transport data autonomously. Radu stresses nonetheless that cables remain fragile infrastructure suffering from physical aggressions (roughly 300 interferences/year), intentional ones (surveillance, military attack, etc…), or accidental ones (fishermen, sharks, etc…), all of which are not sufficiently prevented from happening by international legislation. She listes the main international vehicles that protect submarine cables and sanction peacetime attacks, before stating that no sanction exist to prevent them from being targeted in war times. She quotes the example of Somalia, where the cut of a cable in July 2017 has disconnected the whole region during three weeks and caused financial losses estimated to 10 millions dollars/day. 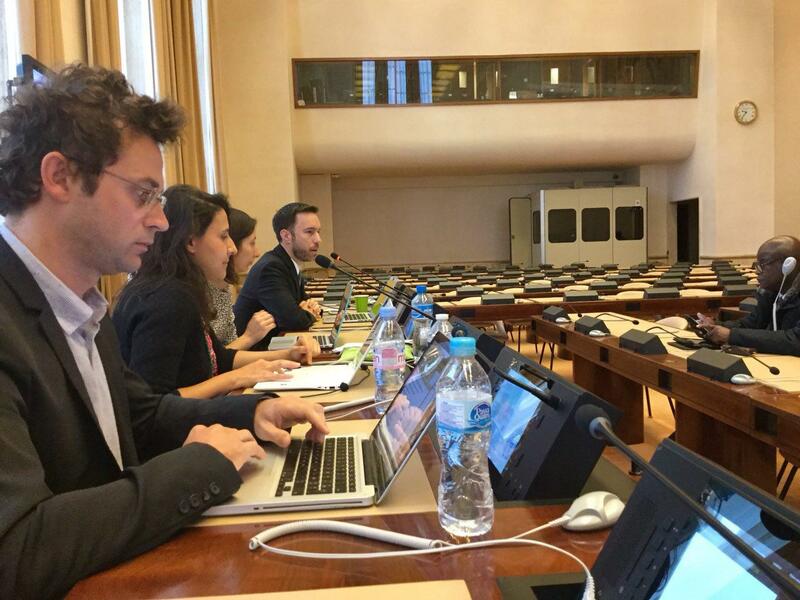 Peter Micek, political and juridical adviser at Access Now links this vulnerability to its potential impacts on human rights and on freedom of expression in particular: “they are infrastructure critical for human rights. They are not used only by banks and traders to accelerate international trading, but also for the communication and free expression of citizens”. Unfortunately, governments and private operators does not make transparent the agreements and operating conditions of submarine cables. The revelations initiated by Edward Snowden in 2014 (for example the Tempora program piloted by the Five Eyes alliance) unveiled the scale of unauthorized and hidden to public surveillance programs and revealed how important submarine infrastructures are to tap data traffic in real-time. But Micek regret that this chock wave didn’t not have impact on the governance of submarine cables, hence the importance of that round-table, only space to cope with the issue at the IGF. Building new cables avoiding the United-States, as planned by Brazil, for instance, is not a sufficient strategy to circumvent surveillance: “Governments shall be more creative to strengthen governance, activate new landing points, stimulate digital economy and reach the global development goals for a horizon of 2020. 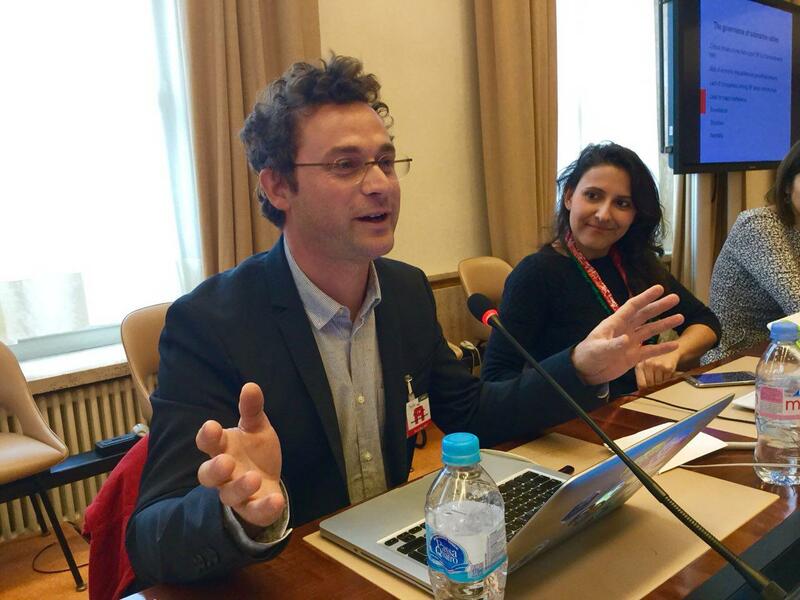 In this perspective, Access Now has launched numerous campaigns and tools, as #KeepItOn, which is fighting globally against any form of censorship on Internet access, and a document with all the Principles for Connectivity and Development. 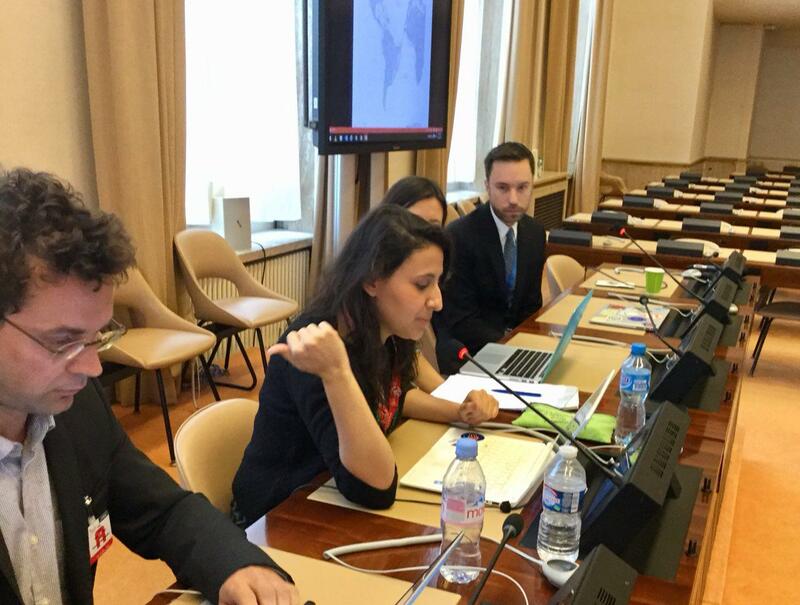 Focusing the debate on the Latin-american continent, Veridiana Alimonti, lawyer and board member of Intervozes, comments the world map of submarine cables as a map of extreme concentration of power among a few countries. “It is unimaginable that today Latin America is not able to communicate with Asia without transiting through the U.S or that the latter have to go through Europe to reach Africa.” This concentration entails tariff inequalities that impact global south countries. She reminds that connection prices to international bandwidth are 10 times higher for Latin America than for Europe and that the price of connecting Buenos Aires to São Paolo is two times higher that the price of connecting Miami to São Paolo, which benefits from a dense network of cables. Such differences are due to the absence of concurrence among operators and to the centrality of submarine cable routes. More direct connexions could better the quality of communication and reduce latency. According to sources quoted by Alimonti, seven additional cables are expected in the coming years (among which only three will go through the U.S.). They could speed Internet connectivity up to five times. But Alimonti reminds also that connectivity should be considered as a whole, from transcontinental cables to last mile user networks. Universal access shall not rely only on competitive market investments. Private initiative should be combined to regulatory public policies to bolster local initiatives in relation to academic sector and thus reinforce a multi-stakeholder approach guaranteeing good governance. As example of such approach, she refers to the Brazilian Internet Steering Committee that has operated for many years a network of Internet Exchange Points used by commercial and academic operators in 33 cities thanks to peering and sharing agreements with reasonable costs. Last speaker, Félix Blanc, research fellow at the Center For Technology and Society, Getulio Vargas Foundation (Brazil), and Head of Public Policy at Internet Sans Frontière, presents the outcome of his research on the ELLALINK cable, that will link Portugal to Brazil in 2019. Supported by the European Commission, this cable will deploy a total capacity of 72 Tbps/second shared by a consortium of telecommunication operators – traditional investors – and non-commercial scientific actors (the European and Latin American academic networks GÉANT and RedCLARA) that should benefit from an indefeasible rights of use during the whole lifetime of the cable. This agreement is meant to facilitate communications among academic networks, but also with non profit actors. This initiative was launched at the Toledo Conference in 2002 in prevision of the future Chilean astronomic observatory of Cerri Paranal, where from 70% of world astronomic data shall be produced. This new model brings non-commercial actors into the governance and spectrum exploitation of submarine cables and create the possibility to have a dual network meant to guarantee that scientific communities, universities and non-profit actors can have a share of the spectrum. This Ellalink model is still embryonic and should be widely debated in Europe and Europe, in order to foster the implementation of commercial and non-commercial regulatory framework for Internet infrastructure of public interest. This IGF session was a unique occasion to embrace new perspectives and imagine guidelines for future actions. Two priorities are on the agenda: build in 2018 a coalition to ensure a strong mobilization in Brazil before the activation of the ELLALINK governance framework in 2019; continue our effort to conduct global research on submarine cables governance and related human rights violation. The session report produced by the DiploFoundation is also available here.